is done on site, you will avoid frustration if you first test-assemble the six identical seating units in the shop. 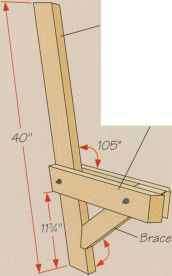 Once you are satisfied with the fit, disassemble the bench only partially to move it. 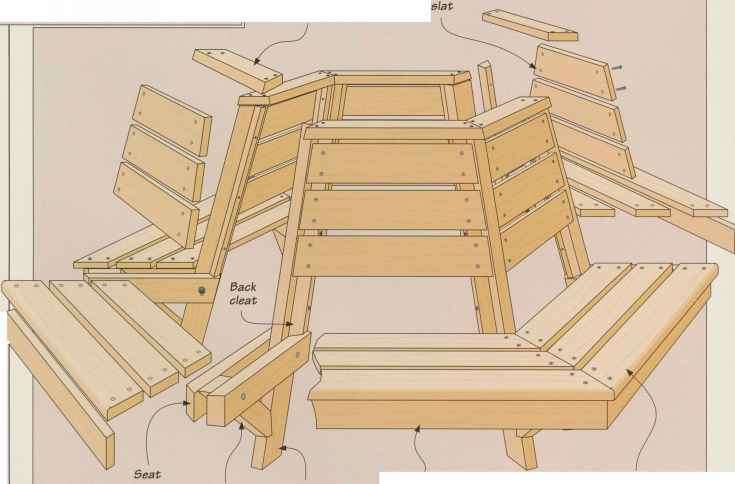 Remove the cap rail, seat, slats, back slats and apron from two opposite sections, leaving two pairs of seat sections intact. 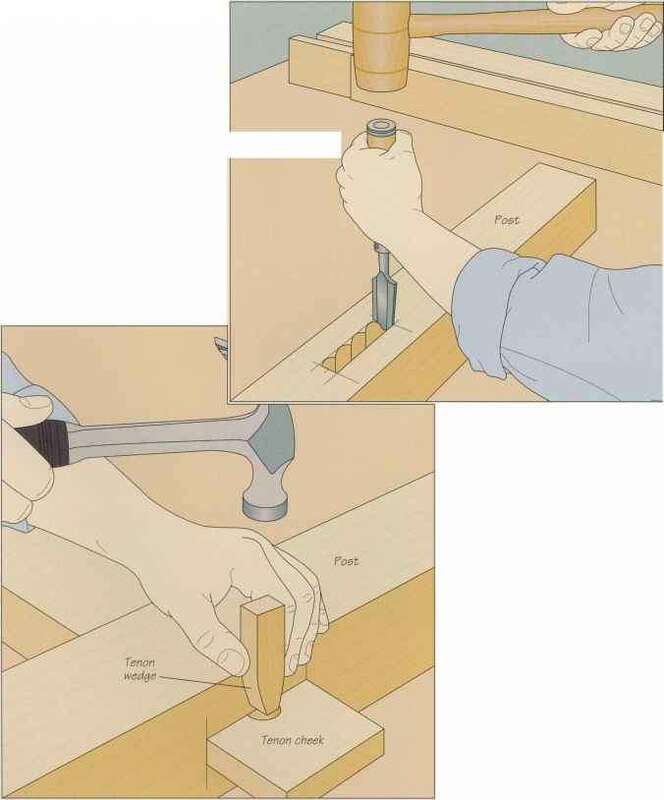 When you reach your tree, position the two intact sections around the trunk, then reattach the removed sections. 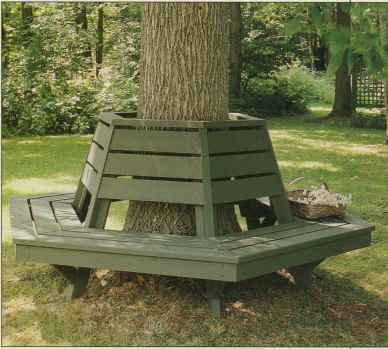 Wrapped around the trunk of a stately ash tree, a six-sided tree bench offers a shady place to sit and reflect. Its design allows one to view the entire panorama without moving the bench; the user need only shift to another seat. The bench shown at right was finished with a green stain, enabling it to blend unobtrusively with its surroundings. Back cleats 12 lVz" 1W 25"
Carriage bolts 12 x ^16" diam. 5"